BIHUN is a very popular malaysian hawker food. 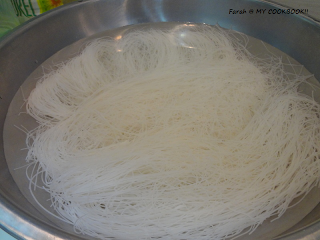 Extremely tasty and is made from rice vermicelli. Its mostly cooked using seafood/ poultry. Now since most of us have become extremely careful about our calorie intake, cholestrol and other health issues, Iv made it a vegetarian dish. 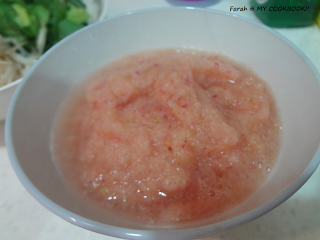 Soak the bihun in room temperature water. With a pair of scissors, give the bihun a few snips at random places. Add the onion and tomato puree. Saute till the raw smell goes. About 2 minutes. Add water and simmer. Add the bok choy leaves and the bean sprouts. Stir. 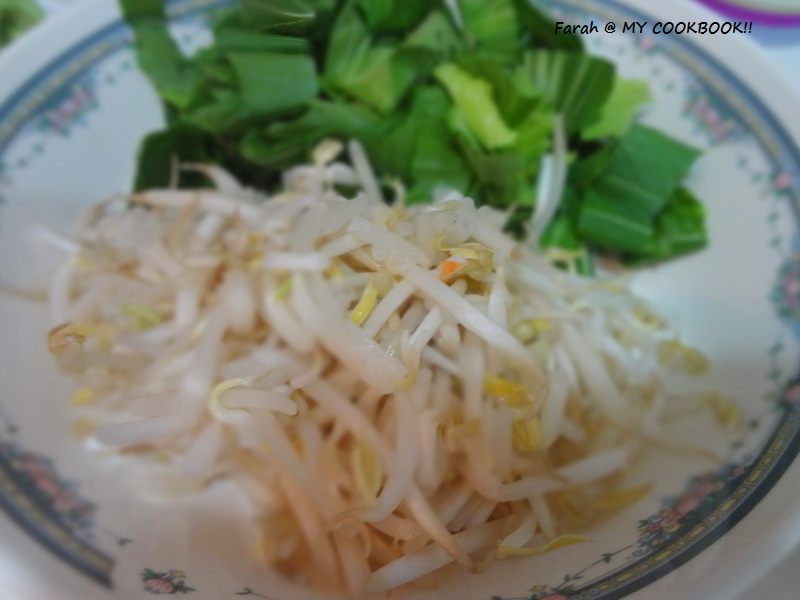 Drain the bihun and add it. 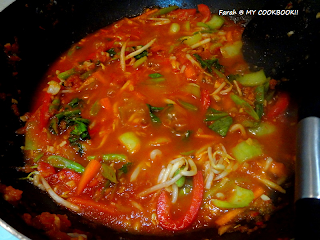 keep stirring till the bihun absorbs the water and the ingredients come together. 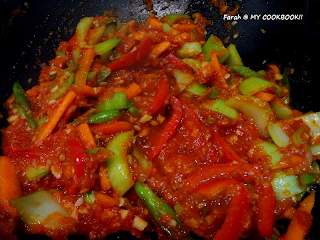 When there is only little water left, add the sauces and stir well. If possible use 2 ladles and stir with both hands. 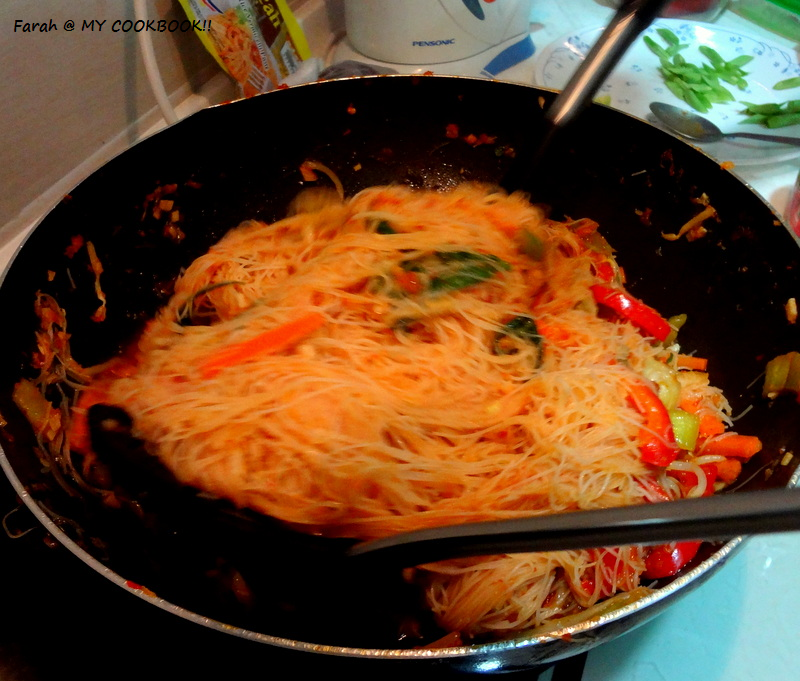 cook till the bihun is cooked and the water is all drained out. serve hot, garnished with scrambled eggs. 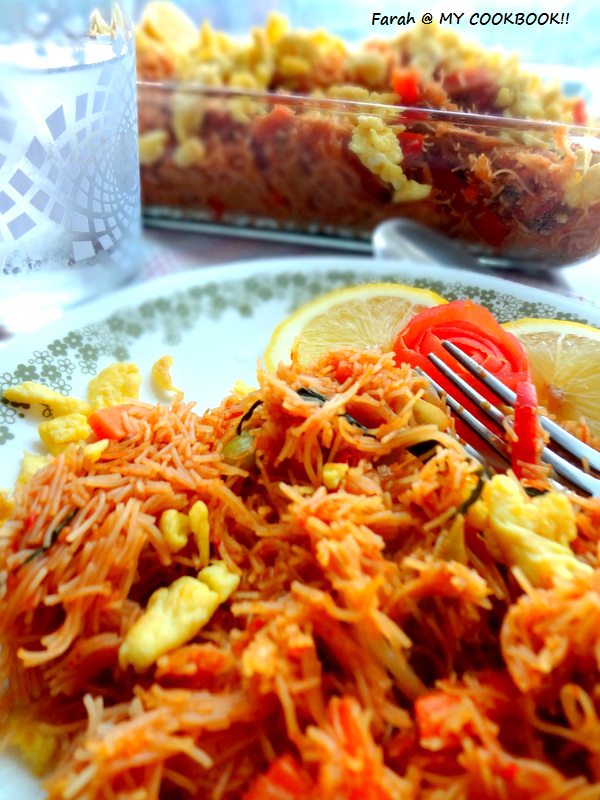 bihun absorbs water. but at the same time it cooks very fast. so dont add all the water at one shot. After you add the 1 cup of water, check and then add the remaining little by little as required. 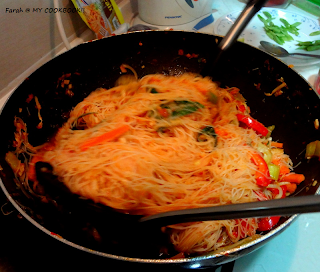 Adding too much of water over cooks the bihun. Add very little salt at first because oyster sauce, adabi paste and soya sauce are both salty. 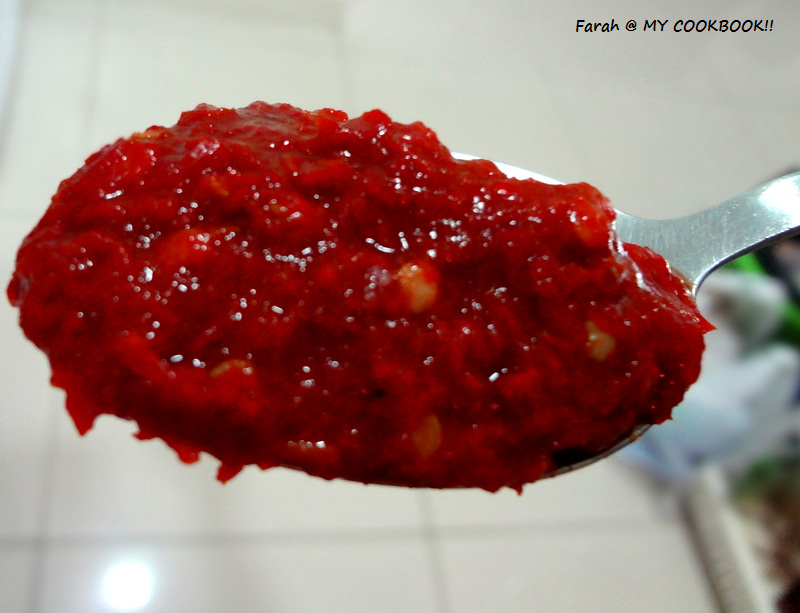 for the chili paste, soak a few dried red chillies in hot water for a few hours. Alternatively, you can cook the chillies on the stove for a few minutes. Then using very litttle water, blend to a paste. You can freeze the remaining paste and use it later when needed. Looks delicious ...something totally new to me.. Happy to follow u, visit my place in ur free time and follow if u like..
hi kauser....thank u!.im not able to visit ur page! mayb u havnt made it public! Thats a new recipe to me... Looks so tempting. Loving the color. 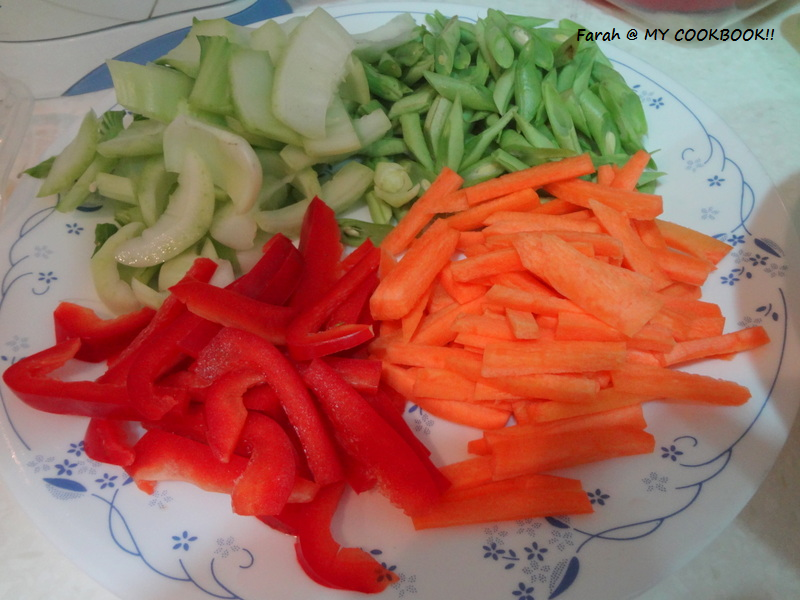 wow.. so tempting farah :) wish i could have some..
Looks very delicious and inviting...this is new to me...nice presentations. 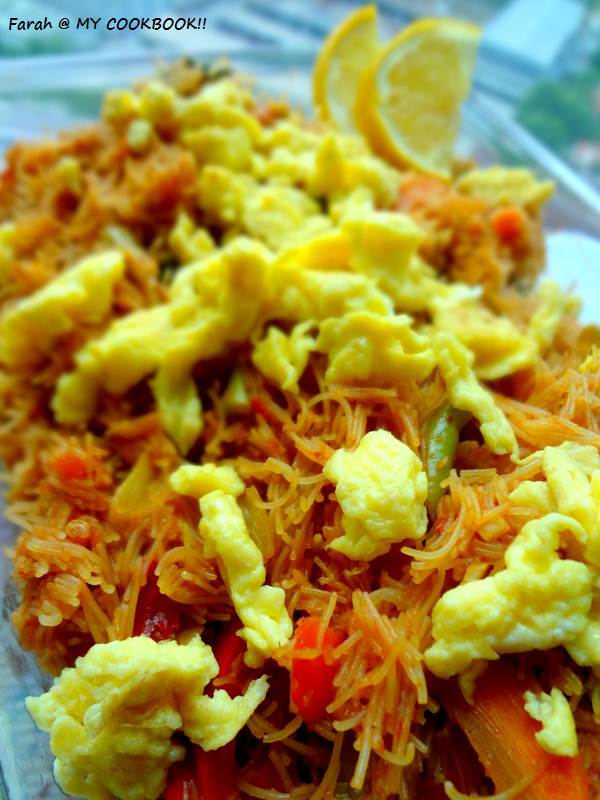 Malaysian Bihun looks very tempting...Yum..
Mouthwatering here, wat an irresistible food.